The Land Rover Range Rover is no stranger to luxury. 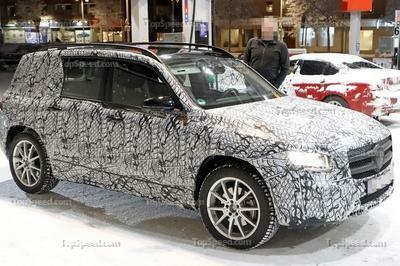 The automaker has been building cushy SUVs with impressive off-road chops for 46 years now. But it’s been in the last decade that Land Rover has explored the idea of sport-tuned versions of its SUVs. The newest is this, the 2017 Range Rover SVAutobiography Dynamic. It combines the high-class luxury found in SVAutobiography-trimmed Rovers with the powerful heart of the Range Rover Sport SVR. 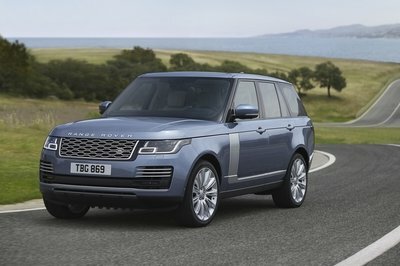 The result: a standard wheelbase Range Rover with all the luxurious trimmings of a SVAutobiography with the SVR’s mighty 550-horsepower, 5.0-liter supercharged V-8 and a SVO-tuned suspension that splits the difference between touring and track focused. What’s more, interior updates for 2017 bring a new 10-inch infotainment screen paired with Land Rover’s latest driver assistance features. Though this Range Rover isn’t capable of fully autonomous driving, Land Rover says all the building blocks are in place. Also debuting is a new Advanced Tow Assist system that’s said to take the stress out of backing a trailer. Like the Ford F-150’s Pro Trailer Backup Assist feature, the driver can use a rotary knob to intuitively steer the vehicle when backup with a trailer. In the Rang Rover’s case, it’s the Terrain Response knob. There’s plenty more to discuss, so keep reading for all the details. Update 08-24-2016: We’ve made a video that covers the highlights of the new Land Rover Range Rover SVAutobiography Dynamic. Click on play to see it for yourself! Continue reading to learn more about the Land Rover Range Rover SVAutobiography Dynamic. The 2017 Range Rover SVAutobiography Dynamic carries the same basic design as the current Range Rover. The devil is in the details here, with small cues and color changes that set the SVA Dynamic apart. Up front, the grille, side vents, “bonnet finisher,” and bumper accents are all finished in a color called Graphite Atlas. The same color is found on the Range Rover script and on the tailgate trim. Buyers can choose between a set of 21- or 22-inch wheels with three finishes. 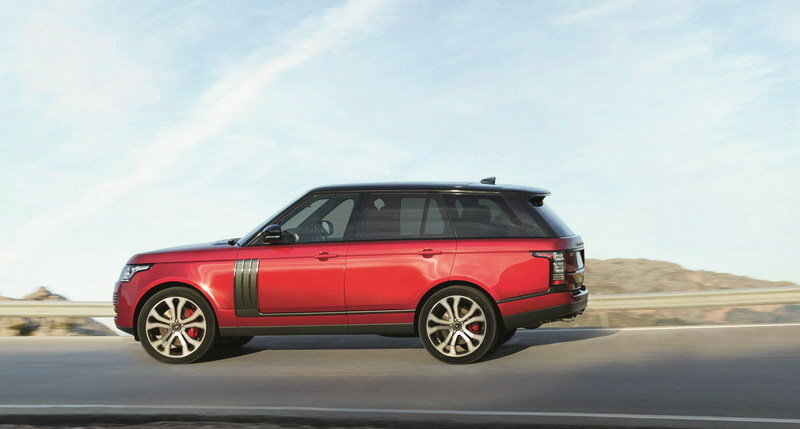 Regardless of choice, the wheels allow red Brembo brake calipers to shine through – a first for Range Rover. Out back, the SVA Dynamic includes four, chrome-tipped exhaust pipes that bellow the sound of its V-8. And if it sounds anything like the Range Rover Sport SVR, the sound is just as intense as the Jaguar F-Type R – pops and burbles included. Overall, the Range Rover SVA Dynamic rides 8.0 mm lower than the standard model, thanks to its upgraded suspension system. There’s more on that below. 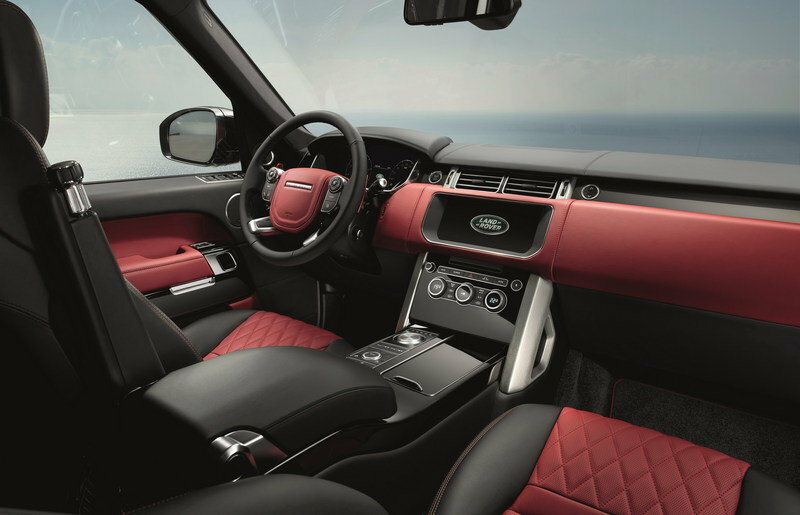 Like the exterior, the Range Rover SVA Dynamic’s interior carries the same basic design, but is accented by new colors. New materials are present, too, like the diamond-quilted leather on the seating surfaces. Contrast stitching can be had in four different color combinations to complement the Ebony seat bolsters and headliner. When selected with the new red leather, the dash gets a matching red leather, really bringing out the sporty nature of the SVA Dynamic. The rotary knob for the ZF eight-speed automatic gets a new knurled finish with a red accent circle. Also new is the 10-inch touch screen and updated InControl software for the infotainment system. This new screen eliminates the hard-key buttons that previously lined the side of the screen. Along with the red interior, the steering wheel-mounted paddle shifters are red anodized aluminum, giving the SVA Dynamic a little something extra. Ordered the Tan interior, however, and the red paddles, the red accent on the shift knob, and the red dashboard all disappear. Powering the Range Rover SVAutobiography Dynamic is the same 5.0-liter supercharged V-8 that’s found in the Range Rover Sport SVR. It’s tuned to deliver 550 horsepower and 501 pound-feet of torque. That’s up from the standard Range Rover V-8’s 510 horsepower and 461 pound-feet of torque. 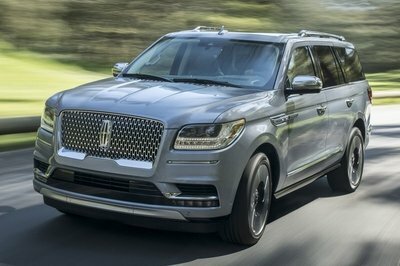 Power is routed through the familiar ZF eight-speed automatic transmission to an AWD system that distributes power to all four wheels, all the time. 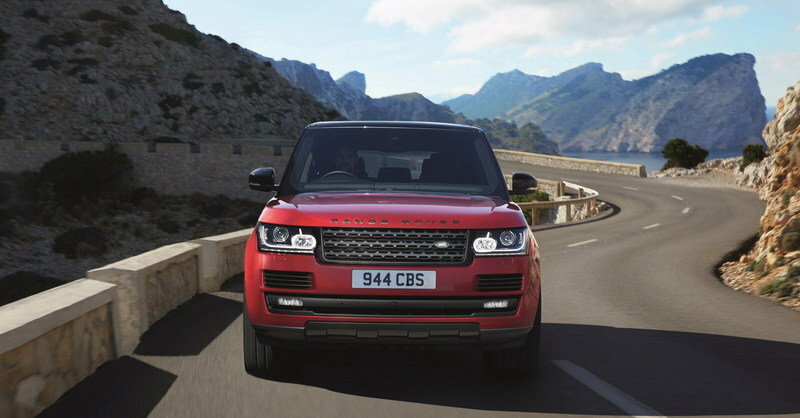 This allows the big Rover to hit 60 mph in just 5.4 seconds. It’s tuned to deliver 550 horsepower and 501 pound-feet of torque. 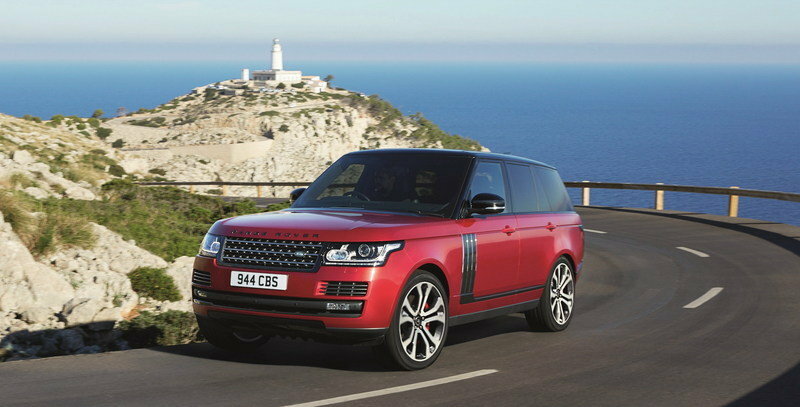 Land Rover says it has specifically tuned the suspension for duty in the Range Rover SVA Dynamic. Included are two driver-focused technologies that delver better body control and handling. The first is Dynamic Response. It’s designed to improve handling by reducing the amount of body roll in hard corners. It does this by controlling the suspension system on the front and rear axles independently. Second is Land Rover’s Adaptive Dynamics system. This stability control system monitors vehicle movements up to 500 times a second and reacts to driver inputs and the changing road surface. Land Rover had not released pricing as of this writing, but we suspect the 2017 Range Rover SVAutobiography Dynamic will carry a starting price of $130,000. That’s up from the “standard” Range Rover V-8’s $103,000 starting price. 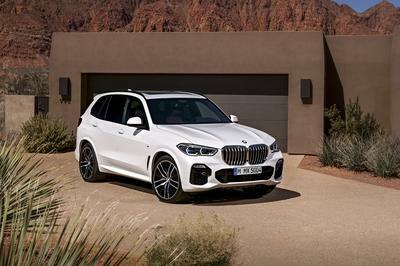 The BMW X5 M might be more sharply aimed at the performance end of the performance SUV category thanks to its 567-horsepower, twin-turbo V-8 that shoots this 5,200-pound behemoth to 60 mph in just 3.8 seconds. Nevertheless, BMW’s Individual program allows buyers to fully customize their BMW to whatever their liking. Want quilted red leather seats with red leather on the dash? BMW can make that happen. The same can be said for just about any interior accommodation or exterior color choice its customers desire. Pricing for the standard BMW X5 M starts at $99,700, but quickly raises with options. Add a few BMW Individual options, and the price grows astronomically. Still, it’s totally possible to spec an X5 M to compete with the Range Rover SVA Dynamic’s price point. 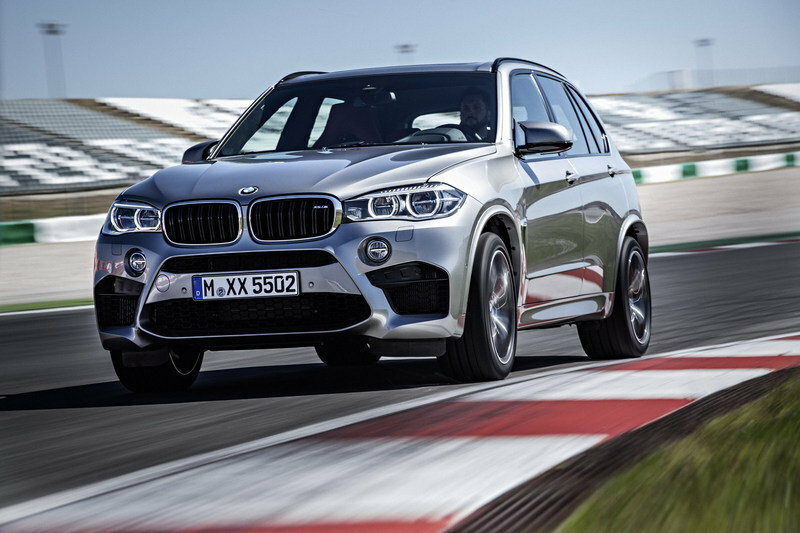 Read our full review on the BMW X5 M here. Land Rover is obviously doing well these days to create so many high-class products. The launch of Jaguar Land Rover’s Special Vehicle Operation seems to be working well for the automaker, affording it an outlet to create these range-topping models built for exclusive clients. What’s more, the level of personalization that’s available of a vehicle within the SVO program is astonishing. This latest product, the Range Rover SVAutobiography Dynamic seems to perfectly combine the high-class comfort of a SVAutobiography Ranger Rover with the track and back road-destroying power and prowess of the Range Rover Sport SVR. Perhaps this vehicle is for the family man who wants the SVR, but whose wife keeps nudging him toward the plushy SVAutobiography edition. In that case, it’s the perfect compromise between the two ideas. Since it redefined the luxury SUV sector more than 46 years ago, Range Rover has achieved more than one million sales and sits at the pinnacle of the Land Rover family. Range Rover’s unique combination of peerless refinement, timeless design and unrivalled all-terrain capability has seen it used to transport Royalty, undertake gruelling expeditions and even developed into a high security fortress in the form of the armoured Range Rover Sentinel. 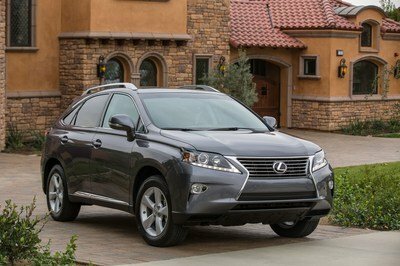 The original Classic model debuted in 1970 and over four generations the luxury SUV has established itself as a design reference, representing the ultimate in all-terrain luxury. The new SVAutobiography Dynamic brings new levels of performance to the Range Rover, powered by a 550PS V8 supercharged engine. Building on the successful launch of the long-wheelbase Range Rover SVAutobiography, the SVAutobiography Dynamic is available exclusively in standard wheelbase specification and comes fitted with specially configured suspension designed to optimise agility without compromising Range Rover’s trademark refinement and comfort. The 2017 model year Range Rover also debuts a selection of innovative new technologies, which provide the building blocks towards fully autonomous driving. The innovative features include Advanced Tow Assist, an intelligent driver aid, which takes the stress out of reversing a trailer, and Intelligent Speed Limiter, which automatically adjusts the vehicle’s speed to suit the speed limit using Traffic Sign Recognition technology. In addition, Driver Condition Monitor and Blind Spot Assist, which autonomously steers the vehicle back into its lane if sensors detect the driver is steering into the path of another road user, are added to an extensive selection of advanced safety features. Interior changes include a new larger 10-inch dual view touchscreen display, powered by Land Rover’s market-leading InControl Touch Pro system. The pinch and zoom tablet-style touchscreen provides a host of new features including customisable homepages, enhanced satellite navigation functions and instant access to the driver’s favourite apps. Range Rover has been the world’s leading luxury SUV since its debut more than 46 years ago. Design is fundamental to this vehicle and the latest refinements reinforce its status as the ultimate luxury SUV. By offering our customers more choice, more technology and more power we ensure Range Rover remains in a class of its own. 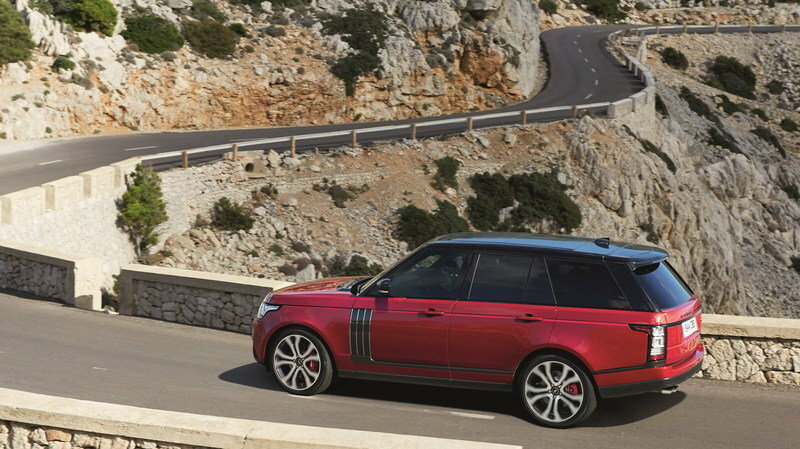 The SVAutobiography Dynamic is the most powerful production Range Rover. Its potent 550PS 5.0-litre V8 supercharged engine is shared with the acclaimed Range Rover Sport SVR. The engine has been specifically calibrated for the flagship Range Rover and delivers 680Nm of torque, powering the SVAutobiography Dynamic from 0-100km/h (0-62mph) in only 5.4 seconds. It is paired with ZF’s eight-speed automatic transmission for seamless gear changes and supreme performance. The interior takes Range Rover to new heights of desirability and refinement. Diamond quilted leather seats with contrast stitching are available in four exclusive colourways, which complement the Ebony perforated leather headliner, giving an immediate impression of luxury. The front fascia and door casings feature a Grand Black veneer, with an additional Red keyline finish on the door casings. In addition, key features, such as the rotary shift controller, start stop button and pedals have a sophisticated knurled finish. Underlining its dynamic positioning, the paddle shifters are finished in anodized red (except when specified with a tan interior) while the driver’s handbook is bound in quilted leather chosen to match the interior. The new addition to the range is identified by a series of unique exterior features. The side vents, bonnet finisher, grille, front bumper accents, Range Rover script and tailgate finisher are all finished in Graphite Atlas. Customers have a choice of 21 and 22-inch alloy wheel designs, as well as three unique finishes. The SVAutobiography Dynamic is also the first Range Rover available with eye-catching red brake calipers and Brembo brake technology. Jaguar Land Rover’s SVO division has fine-tuned the suspension to achieve the optimum combination of performance and comfort. Revisions to the knuckles, links, springs and dampers provide a lower ride height (8mm lower than standard) and more immediate responses. SVAutobiography Dynamic also features two driver-focused technologies designed to deliver improved body control and agility. Dynamic Response improves vehicle handling and occupant comfort by reducing the amount of body lean during cornering. The system controls the front and rear axles independently, delivering increased low-speed agility, superior high-speed stability and greater steering precision. Adaptive Dynamics monitors vehicle movements up to 500 times a second, reacting to driver inputs and changes in the road surface to provide greater control without compromising Range Rover’s peerless refinement. In keeping with its more purposeful character, the SVAutobiography Dynamic features bright chrome quad tailpipes that have been optimised to enhance its distinctive V8 soundtrack. The Range Rover SVAutobiography Dynamic has been specially developed by the Special Vehicle Operations team to deliver a more engaging driving experience. It delivers the ultimate combination of performance and Range Rover luxury, befitting its unique position in the portfolio.